A Congressional Flush | Paul's Voyage of Discovery & Etc. 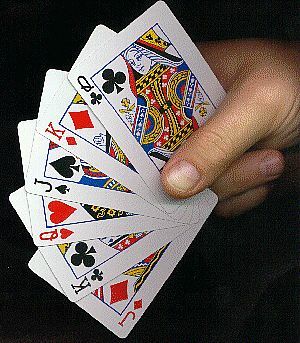 Five Jokers make a flush right? Let me begin by setting the record straight. The mainstream media would have you believe that President Obama is in desperate straits and his support among the American people has plummeted. However, in the 2008 Presidential election, Obama won with 52.9 percent of the vote – and the same pundits and Washington wise men proclaimed this a sweeping victory. This week, the latest Associated Press-GfK poll put public approval of President Obama’s job performance at 53 percent. Virtually unchanged since his “sweeping” win on Election Day. So, while President Obama experienced a nearly unprecedented spike is his approval rating right after his inauguration, and while he’s endured a bruising first year in office confronting the disastrous condition of American economic and foreign policy in the wake of the long Bush-Cheney nightmare, and even though he’s disappointed a lot of progressives like me in various ways – Obama’s managed to retain essentially the same level of public support he had on the day he was elevated to the Presidency. But Americans don’t feel the same way about Congress. According to the same AP-GfK poll, fewer people approve of Congress now than at any point in Obama’s presidency. 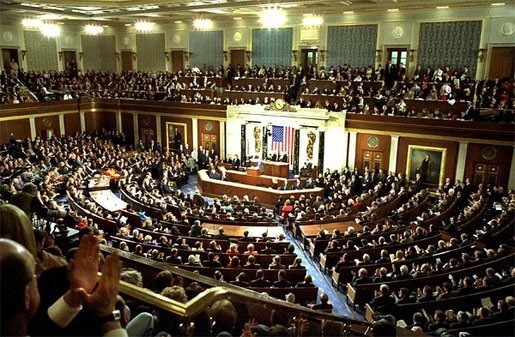 In fact, the job approval rating for Congress is an anemic 22 percent. That’s pretty much what George Bush’s ratings were when Obama was elected. Congressional Republicans get lower ratings than their Democratic colleagues – but not by a very comfortable margin. And that’s as it should be, because Congressional Democrats, especially in the Senate, have managed to squander their majority. GOP filibuster threats become de facto filibusters. 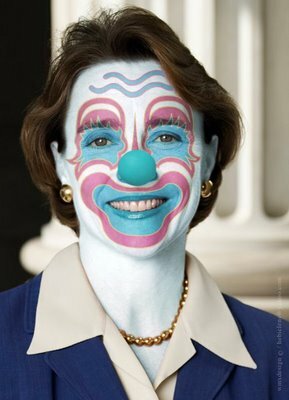 Somehow, Republican Senator Olympia Snowe and Independent turncoat-gasbag Joe Lieberman are allowed to become power players. And small state “Conservadem” Senators like Max Baucus of Montana are allowed to write critical Health Reform legislation with the help of insurance industry lobbyists and GOP obstructionists like Iowa’s Chuck Grassley who were never going to allow Obama a legislative victory on anything – let alone an epochal Health Care reform bill. Weren’t Congressional Democrats listening when Republican Senator Jim DeMint said a defeat on health care would be Obama’s “Waterloo”? Jeez! If an NFL quarterback telegraphs his intentions that obviously he usually gets intercepted. Note: All italicized language in quotes is taken from the official websites of the legislators in question. Oklahoma’s senior U.S. 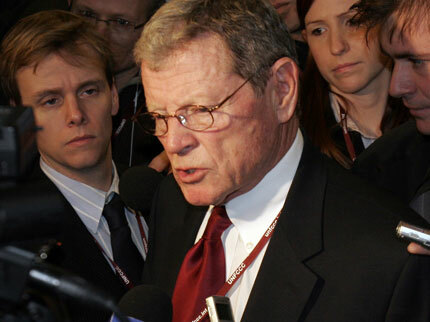 Senator, Inhofe is one of the biggest tools in Washington. “Simply put, no one consistently represents common sense, conservative Oklahoma values more than Jim.” Of course, that means the guy loves oil, oil, guns, oil, homophobia, and oil. “Jim has been a strong advocate for the principles of limited government, individual liberty, and personal responsibility.” Senator Inhofe may be into personal responsibility – but corporate responsibility not so much. He’s the leading climate change denier on Capitol Hill, and a sure vote against financial regulatory reform. Here’s all you really need to know about Inhofe. He won the “Lifetime Service Award” from the Oklahoma Independent Petroleum Association, the U.S. Chamber of Commerce’s “Spirit of Enterprise” Award, and an “A+” rating from the National Rifle Association. First elected to the Senate in 1984, Mitch McConnell is the longest-serving U.S. Senator in Kentucky history. He’s also made entirely of wax. For many years, Senator McConnell was on exhibit at Madame Tussaud’s in Hollywood, but the election of Barak Obama inspired him to return to Washington and do whatever he could to block the new President’s agenda. McConnell is the Senate Minority Leader, which means he gets up every morning ready to say “no” to everything Obama and the Democrats propose. In McConnell’s caucus, such unrelenting negativity is called “bipartisanship”. 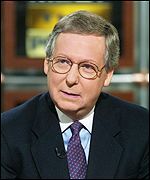 When McConnell was reelected to the Senate in 2008, he won nearly a million votes, the most ever received by a Kentuckian in a statewide race. Gee whiz, nearly a million votes statewide? Big deal. There are 1,596,165 registered voters in the city of Los Angeles alone. Barbara Boxer needed nearly 7 million votes to win her California Senate seat. 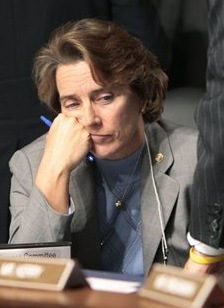 Hell, her opponent, Bill Jones, lost with more than 4.5 million votes! And this wax puppet McConnell gets to sit high and mighty in the Senate, working to deny the Public Health Insurance Option that millions of California voters are demanding? 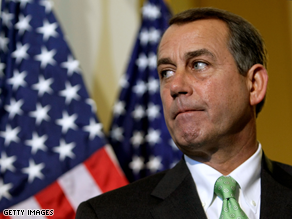 House Minority Leader and tanning bed addict, John Boehner was elected to a 10th term in November 2008. And this is a guy who likes to talk about term limits! He’s “a national leader in the fight for a smaller, more accountable government.” Unless, of course, there’s a Republican in the White House – in which case Congressman Boehner is just fine with turning a Democratic administration’s budget surplus into a multi-trillion dollar deficit. “Throughout his time as a small businessman, state legislator, and Member of Congress, John has been a straight-shooting and relentless advocate for freedom and security.” Unless, of course, a lying, obfuscating Republican Presidential Administration wants to hype false charges of Iraqi WMD to justify a war in Iraq that took our eye off Bin Laden in Afghanistan, handed Iran a potential satellite state in Iraq, and inflamed anti-American sentiment throughout the Middle East. Feeling more free and secure now? Thanks, John. Your tan is fading almost as fast as your credibility. “John is fighting to eliminate wasteful spending, create jobs, and balance the federal budget without raising taxes. He has challenged Republicans in the 111th Congress to be not just the party of “opposition,” but the party of better solutions to the challenges facing the American people.” Oh man, where to start? My head hurts. Oh, wait, I get it now. His website must be written for laughs – you can’t say Boehner has challenged his caucus “to be not just the party of opposition” unless you’re kidding. See? 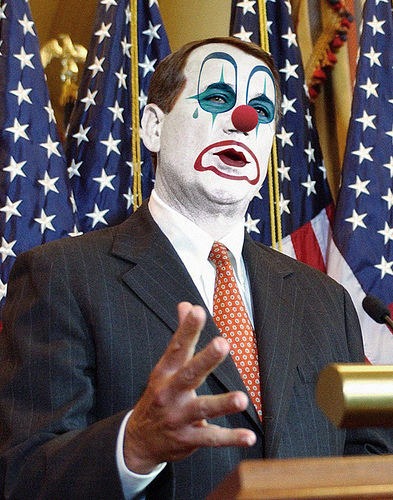 I told you Boehner was a Joker. Blanche Lincoln made history in 1998 when she became the youngest woman ever elected to the United States Senate at the age of 38. Good for you, Blanche. But what have you done for us lately? Lately, Blanche Lincoln has proven herself to be aptly named – because so many things she’s done have made me blanch. If she wasn’t so deep in the pocket of corporate interests, and the health insurance industry in particular, she might be a useful player in the Senate Democratic caucus, but instead, she’s been a thorn in the side of progressive reform efforts since Obama’s election. And she’s been a total drag on Health Reform. Conservative Democrats like Blanche Lincoln are the best argument for legislating by reconciliation. She makes a mere 51 votes look real, real good. “Senator Lincoln is at the forefront of efforts in Congress to end partisan bickering and get results for the American people. She helped form the Moderate Dems Working Group, a new coalition of moderate Senate Democrats who work with Senate leadership and the new administration to craft common-sense solutions to our nation’s most-pressing priorities. 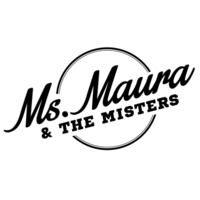 In addition, she co-founded and currently co-chairs “The Third Way,” an organization dedicated to crafting practical and creative solutions to old problems.” In other words, she’s an obstacle to progress: the queen of watering down truly progressive initiatives to mollify conservative voters in her home state. She’s not a Democratic party leader, she’s a timid, frightened, ambitious, bought-and-paid-for small state pol. If she’s not, she’ll have plenty of chances to prove otherwise. I won’t be holding my breath. 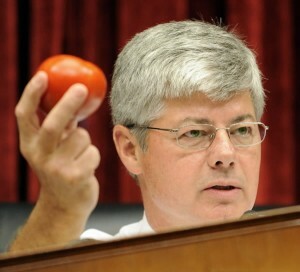 Bart Stupak was first elected in 1992 – but nobody outside of his Michigan district ever heard of the guy until he hijacked Health Reform legislation this year, holding it hostage to his self-serving, caucus-splitting, hot potato abortion amendment. It didn’t matter to Congressman Stupak that the Health Reform bill the House was ready to pass did NOT provide federal funds for abortion – it was too good an opportunity to grandstand for his pro-life constituents and grab his share of the headlines at the expense of reforms that could save the lives of the nearly 45,000 people who have already been born – that die every year for lack of health insurance. What’s pro-life about that? Ironically, Stupak was named the 2007 National Rural Health Association’s “Rural Health Champion” His website says that, “In his 14 years serving the 1st District of Michigan, Representative Bart Stupak has been a tireless advocate for his rural constituents, rural health care providers and the patients they serve.” Unless, of course, Bart has the chance to scuttle better health care for his rural constituents – and everyone else – as he gins up the culture wars by exploiting one of the most divisive issues in America. If Bart is truly interested in promoting rural health, what’s he done with his infamous Stupak Amendment is, well, stupid. Or maybe just Stupak. So there you go, 5 Congressional Jokers. It’s a flush worthy of flushing. Too bad there are only 5 cards in a flush. I can think of a few more members of Congress I’d be happy to flush.